One of the world famous and widely used social network Twitter again faced cyber attack. This time the site was unavailable for over 30 minutes in countries all over the world from Europe through to Asia. As expected the reason behind this outage is massive denial of service attack. 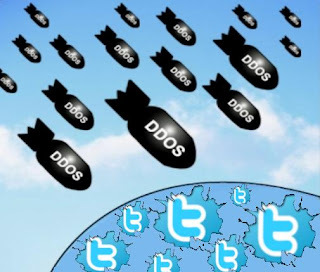 According to the report of Telegraph an infamous hacker group named Underground Nazi also known as UG Nazi affiliated with hacktivist LulzSec, immediately, claimed responsibility for the downage attributing it to a prolonged DDoS attack. A lady hacker codenamed Cosmo, claimed taking down the site had been 'surprisingly simple'. "It wasn't really difficult at all, I myself honestly thought Twitter would be more protected from a DDoS Attack, but I guess not," she added. Meanwhile twitter completely denied the whole phenomena. A spokesman for Twitter said the issue was caused by 'a cascaded bug in one of our infrastructure components'. He declined to say whether it was a technical failure or a malicious attack.